This spring, NASA will be paying cautious attention to a comet that could put on a barnstorming show at Mars on Oct. 19, 2014. On that date, comet 2013 A1 Siding Spring will buzz Mars about 10 times closer than any identified comet has ever flown past Earth. 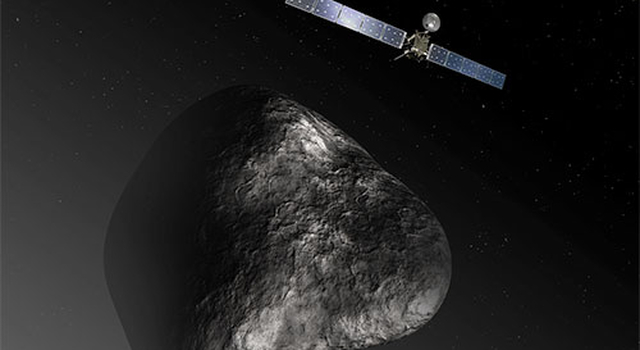 The level of risk won't be known for months, but NASA is already evaluating possible precautionary measures as it prepares for studying the comet. "Our plans for using spacecraft at Mars to observe comet Siding Spring will be coordinated with plans for how the orbiters will duck and cover, if we need to do that," said Rich Zurek, Mars Exploration Program chief scientist at NASA's Jet Propulsion Laboratory, Pasadena, Calif.
Comet Siding Spring, formally named C/2013 A1, was discovered on Jan. 3, 2013, from Australia's Siding Spring Observatory. At the time, it was farther from the sun than Jupiter is. Subsequent observations enabled scientists at JPL and elsewhere to calculate the trajectory the comet will follow as it swings past Mars. Observations in 2014 will continue to refine knowledge of the comet's path, but in approximate terms, Siding Spring's nucleus will come about as close to Mars as one-third of the distance between Earth and the moon. Observations of comet Siding Spring are planned using resources on Earth, orbiting Earth, on Mars and orbiting Mars, and some are already underway. NASA's Hubble Space Telescope and the NEOWISE mission have observed the comet this month both to characterize this first-time visitor from the Oort cloud and to study dust particle sizes and amounts produced by the comet for understanding potential risks to the Mars orbiters. Infrared imaging by NEOWISE reveals a comet that is active and dusty, even though still nearly three-fourths as far from the sun as Jupiter is. Ground-based observatories such as the NASA Infrared Telescope Facility are also expected to join in as the comet becomes favorably positioned for viewing. "We could learn about the nucleus -- its shape, its rotation, whether some areas on its surface are darker than others," Zurek said. Researchers using spacecraft at Mars gained experience at trying to observe a different comet in 2013, as comet ISON (formally C/2012 S1) approached Mars. That comet's Mars-flyby distance was about 80 times farther than Siding Spring's will be. Another difference is that ISON continued inward past Mars for nearly two months, briefly becoming visible to some unaided-eye skywatchers on Earth before flying very close to the sun and disintegrating. 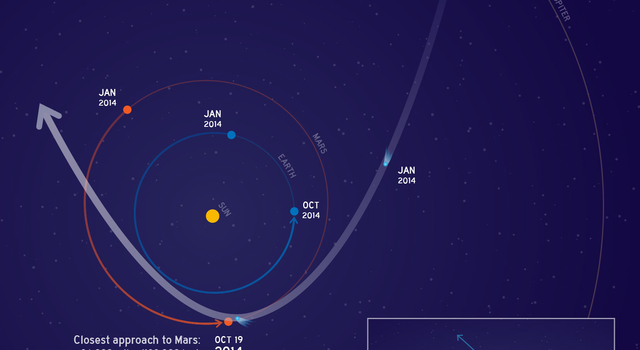 Siding Spring will reach its closest approach to the sun just six days after its Mars flyby. It won't put on a show for Earth, and it won't return to the inner solar system for about a million years. At comet Siding Spring's flyby distance, the High Resolution Imaging Science Experiment (HiRISE) camera on NASA's Mars Reconnaissance Orbiter could provide imagery with resolution of dozens of pixels across the diameter of the nucleus. 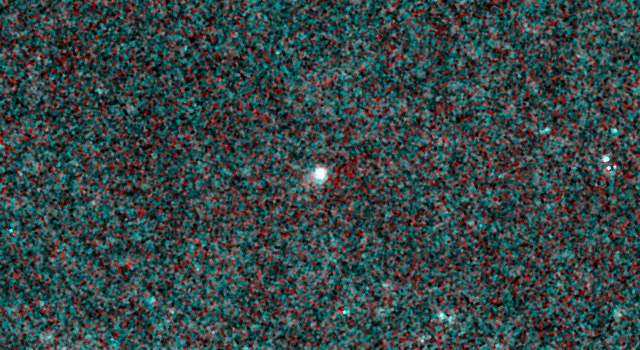 When HiRISE observed comet ISON, the nucleus was less than one pixel across. ISON did not get bright enough to make itself visible to other cameras at Mars that made attempted observations, but Siding Spring could provide a better observation opportunity. Cameras on the Mars rovers Curiosity and Opportunity might watch for meteors in the sky that would be an indication of the abundance of particles in the comet's tail, though the geometry of the flyby would put most of the meteors in daytime sky instead of dark sky. "A third aspect for investigation could be what effect the infalling particles have on the upper atmosphere of Mars," Zurek said. "They might heat it and expand it, not unlike the effect of a global dust storm." 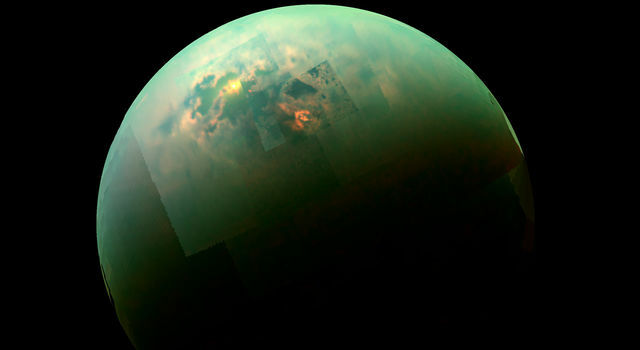 Infrared-sensing instruments on Mars Reconnaissance Orbiter and Odyssey might be used to watch for that effect. "It's way too early for us to know how much of a threat Siding Spring will be to our orbiters," JPL's Soren Madsen, Mars Exploration Program chief engineer, said last week. "It could go either way. It could be a huge deal or it could be nothing -- or anything in between." During April and May, the comet will cross the range of distances from the sun at which water ice on a comet's surface typically becomes active -- vaporizing and letting dust particles loose. Dust ejected then could get far enough from the nucleus by October to swarm around Mars. "How active will Siding Spring be in April and May? We'll be watching that," Madsen said. "But if the red alarm starts sounding in May, it would be too late to start planning how to respond. That's why we're doing what we're doing right now." The Martian atmosphere, thin as it is, is dense enough to prevent dust from the comet from becoming a hazard to NASA's two Mars rovers active on the surface. Three orbiters are currently active at Mars: NASA's Mars Reconnaissance Orbiter (MRO) and Mars Odyssey, and the European Space Agency's Mars Express. Two more departed Earth in late 2013 and are due to enter orbit around Mars about three weeks before the comet Siding Spring flyby: NASA's Mars Atmosphere and Volatile Evolution (MAVEN) and India's Mars Orbiter Mission. Orbiters are designed with the risk of space-dust collisions in mind. Most such collisions do not damage a mission. 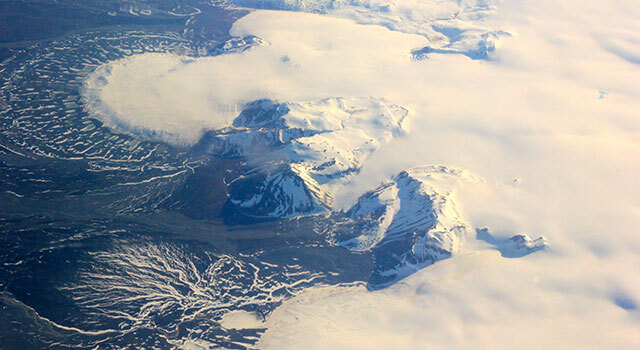 Design factors such as blanketing and protected placement of vulnerable components help. Over a five-year span for a Mars orbiter, NASA figures on a few percent chance of significant damage to a spacecraft from the background level of impacts from such particles, called meteoroids. Whether the Siding Spring level will pack that much hazard -- or perhaps greater than 10 times more -- into a few hours will depend on how active it becomes. This comet is orbiting the sun in almost the opposite direction as Mars and the other planets. The nucleus and the dust particles it sheds will be travelling at about 35 miles (56 kilometers) per second, relative to the Mars orbiters. That's about 50 times faster than a bullet from a high-powered rifle and double or triple the velocity of background meteoroid impacts. "These changes would require a huge amount of testing," Madsen said. "There's a lot of preparation we need to do now, to prepare ourselves in case we learn in May that the flyby will be hazardous." 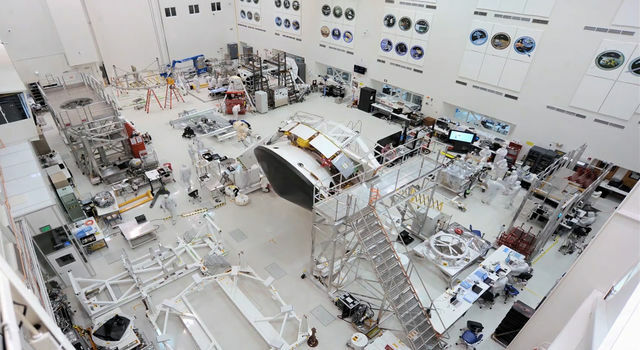 JPL, a division of the California Institute of Technology, Pasadena, manages the NASA's Mars Exploration Program for NASA's Science Mission Directorate, Washington. For more information about the flyby of Mars by comet Siding Spring, visit http://mars.nasa.gov/comets/sidingspring/ . For more about the Mars Exploration Program, visit http://mars.jpl.nasa.gov .